Workshop Hints | Triumph Owners Motor Cycle Club NZ Inc.
TOMCC is privileged to have secured the services of Nigel Sprocket, ex Triumph UK to give us the benefit his advice, and to add interest with anecdotes from his years at the Triumph factories. Nigel joined Triumph in 1903 as an apprentice on the shop floor. He moved with the company to Meriden where he was soon promoted to Head draughtsman on the parallel twins project as a result of his ground breaking work on preventing leather drive belt slippage. When designer of the first Triumph parallel twin, Val Page, pointed out that Triumph hadn’t used belt drive for thirty years and he had already developed a parallel twin engine, Val was immediately transferred to BSA. (as an aside Val’s engine eventually became the BSA A7/A10 range). Nigel moved on to develop Harris Bonnevilles where his innovative work on saving weight by developing porous castings astounded Harris Bonneville owners worldwide. When John Bore started Hinkley in a stunning coup he poached Nigel from the dole queue to work in the experimental department where to this day he is developing a standard whitworth thread pattern not only for Hinkley bikes but eventually for all motorcycles. Imagine only one set of spanners required and they’ll be British! TT accessories market a kit “KT 99 Push in Conversion Kit”. This helps secure ” push in pipes ” which normally relies on the balance pipe and being a tight fit into the head from coming loose.The original finned clamp was just for show. This kit uses the new finned clamp which is screwed to the head with set screws and a sealing ring to help retain the pipes into the head . Instructions come with the kit and British Spares listed on our site can provide this kit. Note from the Author. Originally I was very reluctant to do this item as if there is one sure way to get your head blown off its sticking it above the parapet by having an opinion on a technical matter. I’m certainly interested in constructive criticism and corrections where I’ve gone wrong but please be polite. I have a little knowledge but cheerfully acknowledge that many many others have a great deal more. I can only encourage these people to come forward. I’ve written this simply as a guide and its not in any real depth nor is it completely my work as I started with an old article by Pete Snidal and tweaked it a bit. I’ve also pasted a few other bits in where appropriate. While the title refers to ‘Triumph’ motorcycles the principles are applicable to almost any 12v motorcycle and I have used them on my Moto Guzzi and Yamaha FZR. If I can help, please let me know. The two most maligned aspects of the classic Triumph line of motorcycles are the AMAL carburettor and the Lucas electrical system. The AMAL will feature in another article but guess what! The Lucas electrical system is, in my opinion and measured against the period, actually a very well thought out, quality-built selection of components, designed to be compact, efficient, and adequate for the service for which they were intended. Joseph Lucas (1834 – 1902) was a jobless father of six who sold paraffin oil from a barrow cart around the streets of Hockley. The company was then founded in 1860 with his son Harry, joining his father around 1872, aged 17. By the 60’s the company was listed on the London Stock Exchange and employed 92,000 people. Joseph Lucas himself could never have dreamed that his name would be associated the British Motor industry for so long, indeed when he passed away in 1902 electric lighting for vehicles was simply a futuristic dream along with the vehicles themselves. 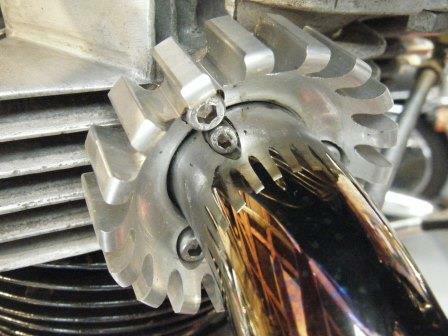 Sparks for almost all British motorcycles were at one time supplied by elegant little high-tension magnetos, often built by Lucas, which were incredibly reliable even when rudely mistreated. From the late 40’s on, low volts was generally provided by a full-on DC generator, with a floating-points mechanical voltage regulator varying field voltage according to sensed output requirements. It was an elegant system, but subject to vibration problems, (the regulator, mostly) and judging by the quality of the construction, was very expensive to build and also to replace. The mechanical voltage regulators had a bad habit of taking the generator with them when they went, and during the days that these bikes were available second hand in the 2 to 300 dollar range, a fresh generator and regulator often cost more than the motorcycle was worth to replace. There was a lot of riding without lights when I first started riding British bikes! In 1954, Triumph introduced on the Speed Twin and Thunderbird a “new” electrical system involving a crankshaft-mounted alternator, and coil ignition, using points, coil, condenser, and thus requiring no expensive magneto. Best of all, the system had no mechanical floating points regulator, and was much less susceptible to vibration and burning itself up. The extra reliability inherent in this system quickly found acceptance by the average rider although ‘sporting’ versions stayed with the magneto until unit construction forced a change. The biggest downfall of these early AC systems was adjusting the output to the load. This was done by the Lucas rotary light / ignition switch. Here the number of output coils on the alternator is switched in and out as the load is varied (lights etc are turned on). It’s not a great system as the wiring is much more complex and the switch falls to bits eventually and is expensive. 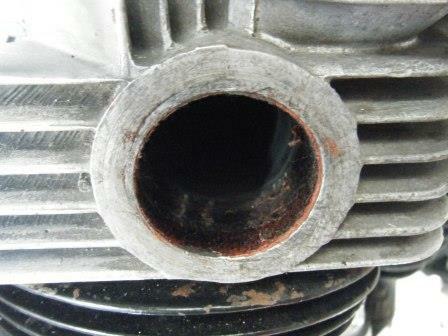 When I started it was also impossible to replace so again, there was a lot of riding with total loss electrics. The advent of the much maligned zener diode evolved the system into something close to what we enjoy today – erm – yesterday. But no matter what the jokes say about it now, it was a great leap forward in automotive electrical engineering. In short, in their day, this system was state of the art and best of all, modern technology has addressed most of the ‘no stock’ or reliability issues with the early components so if you are having trouble with your ‘classic’ electrical system, it will usually be found to be fairly easily and cheaply fixable. More than that, if you just can’t get the current you need, you can usually make some changes, to components newer, stronger, or both. But in most cases, troubles with insufficient output can be fixed a little more easily than this. For the purposes of this article we will concentrate on AC systems used from 54 onwards as I suspect these are by far the most common amongst members. FIRST THING – IS IT BROKEN? Regulator – Limits the DC voltage in the system to a preset figure. Battery – Stores electrical power for use when the generation side can’t provide demand and can be used as a filter to smooth out the current. The charging system is there to keep your battery up. Since your battery is the primary source of power to everything on your bike that uses it, the charging system must be able to keep up with the demand. But keep in mind, this is on the long-term basis. Short-term demand on the battery can be greater than the alternator can supply, the remainder being supplied by the battery itself. This is why the battery was often called an “accumulator.” It gives us a bit of cushion in cases of high demand on the system. This cushion may, in cases of extremely low system ability, extend to running the lights to get you home at night – but bear in mind that in marginal cases, you will eventually run out of juice when running with full lights. At these times, the stuttering and stammering of the motor will tell you it’s time to make up your mind between lights and ignition – ignition generally wins. If you ever find yourself in this position, however, you know you’ve got something to fix. Let’s look at how. First, check your charging system voltage. Before starting the bike, check your battery voltage with a voltmeter. Set the meter to DC on a suitable scale and attach across the battery terminals. Take a note of the voltage (hopefully 12.3 to 12.6V DC approx) then, start the bike up, and check it again, with the engine running at about 1500 rpm, and the lights off. This is the charging voltage, and it should be higher than the basic battery voltage. 13.8 would be nice, but in the real world, even 12.8 is acceptable. Any less than that, and you know your battery’s never going to get a decent charge. Now, turn the lights on, and check it again. If the voltage drops below 12.6 or so, you know that your battery’s going to be in a state of net discharge when you’re running with lights. Ie More is coming out of the battery than is going into it. Another consideration here is “Just how good is your battery”? Since a kickstart bike does not use the battery for starting, it can be in pretty bad shape without giving any indication. The poor old battery is usually the cheapest unit we can find and soldiers away, neglected in a far from ideal environment (hot, dirty and vibratory). Check the connections, and the fluid level. Top up with distilled water if necessary, and allow it to stand awhile before charging. Put a small trickle charger on it overnight, and then the next day, connect a taillight to it and see how long it takes to run it down. Since the original Brit specs called for keeping parking lights on overnight, you can expect a good battery to keep the light burning for 10 or 12 hours. NOTE – don’t run it right down as you WILL damage it, but if on checking after only a couple of hours, you find it’s no longer burning, hike off to your local bike shop and get you a fresh one – then let’s continue with checking the charging system. If full lights is pulling you down below charging voltage, and you have no other option, you might consider installing a lower-draw “running light” for daytime use. This way, you know that you are getting a net charge into the battery during daytime running, so when you need that high beam halogen at night, you are starting with a full battery. I’ve never found this necessary or desirable but it is certainly an option. The first job is simply cleaning and tightening all your connections in the charging system. Locate the connectors from the alternator wires as they leave the primary chaincase. Clean all the road crud off them, pull these apart and inspect them for shiny. Clean them as lightly as possible, since they’re cadmium plated and you don’t want to take off the plating if you can help it. Don’t forget also to clean the insides of the tubular coupling. Then do the same for the spade connectors to the rectifier. Be sure also to clean the rectifier’s mount to ground. In fact, it’s a good idea running a second red ground wire between your major components – from the rectifier mounting bolt to the battery positive terminal, instead of relying on the chassis to carry the current. Copper is always a better conductor than steel, anyway. To this end, I have made up a small alloy earth bar from scrap alloy angle stock to mount relays and terminate earth cables. It sits just behind my battery holder. If charging is a problem for your bike, you may want (as a first step) to replace your 40 plus year old dried out selenium rectifier with a modern ‘equivalent’ replacement. You can get a modern silicon replacement from all the usual suppliers complete with wiring instructions very reasonably. Be sure to mount it so that it can bleed the heat it produces into an aluminium plate which you cleverly built (see above) as a mount. Once you’re done, you’ll likely find that this little improvement makes quite a difference as these modern rectifiers are much more efficient than what Mr Lucas and co had to work with in the 50’s and 60’s. Being more efficient there are less internal losses and thus less heat generated and more current for you to play with. That allows you to mount it almost anywhere but a heatsink is still recommended. If your system voltage is still low after all this, you may want to try disconnecting your Zener diode. The purpose of this baby is …. wait for it ……. to dispose of excess and regulate the voltage, so that your charging system won’t overcharge your battery, burn out your lights, etc. Although hilariously funny to those who find themselves without the juice to get home on dark nights, this is actually a truth for some. In some cases the zener can be cutting in too early and limiting the voltage. I’ve had batteries boil with the Zener disconnected, even with the lights full on so be careful. Usually though when the zenner goes, the voltage soars and the lights all go pop! Tremendous fun when hard on the gas in second gear late at night! Be sure to check your charging voltage after you’ve replaced the diode, and find out if you need to disconnect the Zener. Theoretically, it shouldn’t draw any current at all below it’s “knee voltage” of 13.8 or so. The more confident may want to put an ammeter in the circuit to the Zener, and see if there’s any current draw below this voltage. Personally I still use my zener as mine is mounted under the headlight in one of those elegant finned heatsinks and I have had a good run with it BUT you could consider a modern replacement and its more likely to give you another slight improvement. These are usually a solid-state device called a Typmanium voltage regulator. It’s often actually a regulator/rectifier replacement in modern electronics and is an excellent thing to use if the simpler process described above runs into snags or if you need a new Zener. Just a quick note on Zeners. These devices are named after Charles Melvin Zener PhD (1905 – 1993) who was an American physicist who first described the electrical properties exploited by the diode. Early on in their use on british motorcycles it was found that they failed if tucked away under the sidecover with the battery. They eventually found that they were many times more reliable if mounted in the airstream on some kind of heatsink. Norton Dominators usually mounted them on an alloy plate under the tank but Triumph / BSA decided to make them a styling feature rather than hiding them away. The finned zener mounting at the front of the late 60’s triumphs is a style icon. (note – when fitting a new one make sure that you use a compound to increase thermal conductivity between the two items and run an separate earth cable back to the earth bar from the mounting. If you still can’t get enough volts up to keep your battery charged, it may be time to replace your stator and/or rotor. 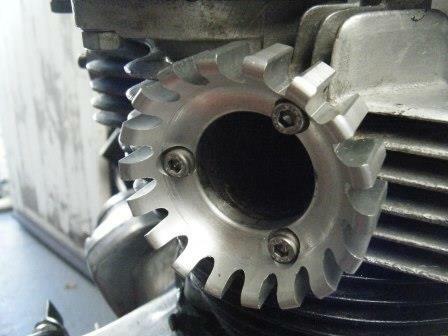 The magnetism can go in the rotor, and small shorts can cut out some of the windings in the stator reducing output. It’s also worth checking the mechanical integrity of the rotor from time to time as the magnets and the steel boss in the middle (that mounts on the crank) can start to come loose from the cast part that holds it all together. These things can in extreme cases fly apart with terrible consequences to delicate alloy castings. The centre boss that mounts to the crank can also come loose producing a weird knocking noise at idle. A little word on Alternators. The original 6 and 12 V alternator stators (open windings type) were prone to problems with vibration shaking the windings loose. 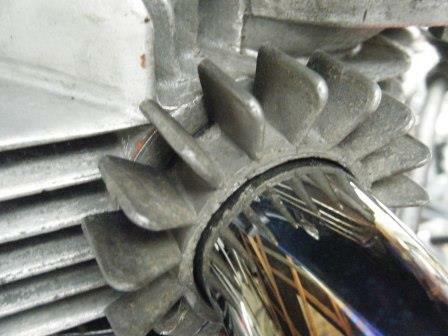 The remedy for this was to encapsulate the windings in resin, all new stators are of this type. By the 1960s LUCAS had standardised the sizes of the alternators and by the mid 1960s the alternators were being produced in 12v form (LUCAS RM21). The introduction of the three phase stator pushed the alternator output up from 120 to 180 Watts whilst still retaining the same magnetic rotor but with Three Phase windings. Basically, Lucas alternators fall into 3 main groups. 6 VOLT 3 wire 120 Watt Single phase. 12 VOLT 2 wire 120 Watts Single phase. 12 VOLT 3 wire 180 Watt Three phase. Now, let’s look at the other places to fiddle – the ignition system. Unlike the situation with the selenium rectifier described above, there is nothing particularly old-tech about the coil-and-points ignition system supplied as stock until well up into the ’70’s. Many people seem to think that the standard system, having in most cases worked completely satisfactorily for many years, all of a sudden has to be replaced with an aftermarket alternative, just because it’s solid state. In the case of the Boyer, it’s also plastic. It may or may not have electo-automatic advance to replace the centrifugal advance of the standard system, and it has a few disadvantages as well. Such as the designer having taken the shortcut of making it fire both cylinders at once – one because it needs to, the other because, what the hell, it’s on the exhaust stroke anyway, so who’d care? (Anybody with a little leak in a pipe who doesn’t like pop-pop-bang-bloof noises on deceleration, that’s who)! The standard Lucas components are very nicely made and with a minimum of maintenance, will give good service for the life of the motorcycle. Having said that – I myself run a Boyer because it’s a set and forget device and I’m already time poor so anything that results in one less job to attend to helps me out. All I’m saying is that there is very little wrong with points and you shouldn’t let fashion alone sway your decision. This section has definitely got the potential to get tricky. Perhaps because it is the one that’s visible and after ignition, useful output of your electrical system the lighting system can’t be ignored. In recent years lighting systems have advanced a lot and happily much of the newer ideas and technologies can be applied to older bikes. Like everything else in the system the work is around improving efficiency and reducing losses. From the 1950’s up to the early 80’s the power ratings of motorcycles increased considerably. Unfortunately the performance of the lighting system didn’t always keep pace and I found that much like my 1970 TR6C, my 1980 Moto Guzzi LeMans was positively dangerous to ride at night. In the best ‘classic’ traditions the yellow beam fell from the lamp, struggled along the front guard and fell in a useless puddle an metre or two in front of the bike. Night time trips were ‘exciting’ to say the least. After a few simple mods both of these bikes are now safe at highway speeds on the darkest nights. Quite an improvement considering the C uses a small 6” lamp from a Triumph 2000 and the Guzzi a small square unit from a Fiat 127. Lets look at how this was done. amount of power made halogen headlights the most popular around the world, with most automakers still using them on their latest models. A couple of car manufacturer, however, slowly migrated to high-intensity discharge systems, also known as xenon headlights, which are said to provide even more light than halogen units. The first model to implement such a system was the 1991 BMW 7 Series. Last-generation models incorporate even a more advanced system compared to HID, this time based on LEDs. What can we do? Personally I like standard H4 lamps because I can get them at any Repco or Supercheap and most garages usually in the 55W range. Having a good lamp in not much chop unless you have a good reflector and I’ve never been able to clean an old one very well so I just bite the bullet and buy a new semi sealed unit in the appropriate size. Tail lights are in the 5W range and can be replaced by LED versions if you can find ‘em and every amp is precious so why not? Now we have a great light but what’s feeding it? This is where you can really get some great gains but first, do you need to? The simple test is to hook up a fused hot lead to the power side of your battery. Place it someplace safe (where it won’t touch the frame etc and remove your headlamp leaving the wiring intact. Turn on the lights and select either high or low beam. Identify the power input to the light and touch the hot lead onto this point thus providing full battery voltage to the light. If it brightens noticeably you have a problem. I’ve been running this system along with a few of the improvements above in my Triumph TR6C (1970) for 10 years and the difference is astonishing. I can ride with lights on all day without an issue. I can ride at night happily even with the tiny headlamp and during the day, other road users actually notice me. Want to add an oil filter (good idea) but want your bike to look origional? A Trident filter will fit on the rear frame down tube, just attach it with hose clamps and plumb it into the oil return line. Before I start I like to know as much as possible what is likely to need doing. This time on my 69 Bonnie the prime reason was oil leaks, I suspected the pushrod tube seals but it can be hard to tell where the oil is coming from. No smoke from the exhaust at all and she was running okay however to be sure I did a compression test. 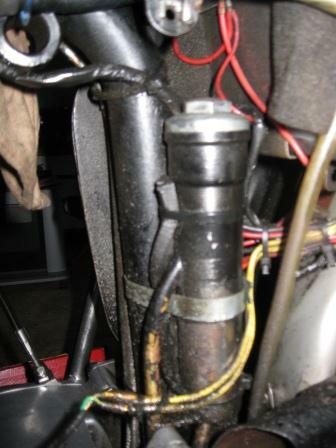 Fit the guage and kick over with throttle open so as the carb slide doesn’t mask and inlet valve problem. If the pressure is below 100psi I start to worry, some books say it should be 135 – 155psi depending on compression ratio and 20 psi below means work is required. Mine was only 60 psi on on cylinder, 70 psi on the other. Next squirt some engine oil into the plug hole and check pressure again. if the pressure comes up, mine increased to 120 psi, then ring and/or bore is the problem, if not the valves aren’t sealing. This is useful information as when I pulled the head off there was no ridge at the top of the cylinders, another sign of bore wear, but I knew the cylinder barrels had to come off for inspection. Before lifting the barrels, secure the tappets using one of several methods. I seem to do it differently every time, most manuals say wrap soft wire round to tie the two together, I have used rubber bands cut from a pushbike tube but this time the first thing I came across in the garage was an old bit of petrol pipe that I cut into short bits and pushed over the tappets, see photo. Check the factory manual out! 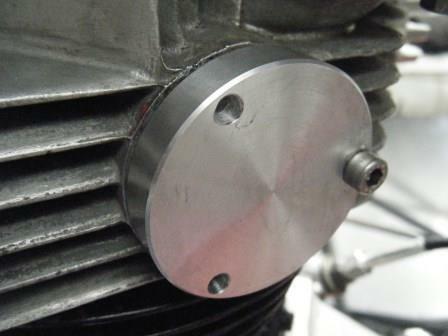 before removing and replacing barrels they recommend placing a gear lever rubber on each of the studs! like who has eight gear lever rubbers lying around their workshop? Gudgeon pins can be pressed out by heating the pistons or you can use your Shadbolt Extractor (see workshop hints, Crankcase Sludge Trap) or make up a removal tool as per diagram below. Before starting any of this work stuff a clean rag in the crankcase mouth, you don’t want to loose a circlip or the pin from your Shadbolt extractor down the crankcase. I usually grind the valves in regardless when I have the head off, some say it’s unecessary but I feel better for having done it, and it’s easy these days using a battery drill (see grinding valves hint). Check the bore by placing a piston ring in the, unworn, bottom of the cylinder (make sure it’s square in the bore) and check gap then push the ring up the bore using the piston to near the top and check gap. If the difference in the two measurements is getting up around 24′ thou then you need to take them to the engine reconditioners to confirm whether a rebore is needed (you probably do if the difference is this much). My bore was quite badly scored which meant a trip the the reconditioners for a fairly savage hone, fortunately the piston/cylinder tolerances were quite tight meaning there was room to hone out the scratches. Replacing the cylinders I have never needed a ring compressor, I just sit the barrels on carefully on the pistons, which I sit on two strips of wood across the crankcase mouth, and use the taper at the bottom of the barrels the ease the rings in with my fingernails, alternating – top ring left cylinder, top ring right cylinder, second ring left cylinder etc.